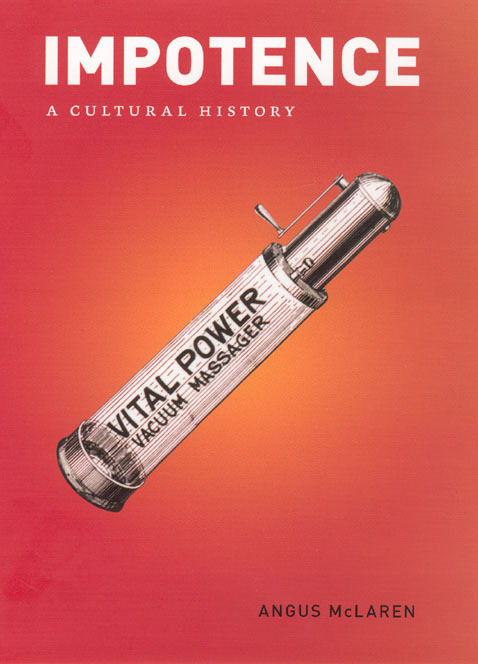 Today, the topic of male sexual impotence is inevitably discussed in terms of biology where drugs like Viagra are seen as the answer for one of the perennial problems of mankind. But in a review this month in the New England Journal of Medicine Yvonne M. Marshall takes note of Angus McLaren’s new book, Impotence: A Cultural History for challenging the way we think these days about this age-old affliction. Marshall writes: Advertisements for Viagra would have us believe that impotence—or at least erectile dysfunction—and the compromises in lifestyle that it leads to could soon be a thing of the past. Almost a decade after the drug went on the market, however, we are still waiting, and Angus McLaren’s historical analysis of impotence indicates that the wait is unlikely to end any time soon. His goal is “to understand the main tendencies that have historically structured representations of masculine sexual inadequacy,” and he shows that what constitutes impotence is culturally and historically variable. It is specific to particular times and places and is not merely a question of biology—regardless of what Pfizer might claim.… The review coninues: There is much in this book to interest both the general reader and . . . In Search of Lost Time has enthralled lovers of literature for nearly a century. But for diehard fans, its seven volumes are never enough: Proust fans also devour biographies of this most enigmatic of writers, tap guidebooks to navigate his magnum opus, and even sponsor book clubs devoted to plumbing its considerable depths. Here National Book Award nominee Alice Kaplan offers Proust fans the gift they’ve long been waiting for: a crystalline translation of Madame Proust, the enthralling biography of Proust’s mother. Written by Evelyne Bloch-Dano and originally published in France to lavish critical acclaim, Madame Proust: A Biography explores how Marcel’s mother both inspired and informed his legendary novel. Renowned both jokingly and lovingly as the quintessential mama’s boy of all of modern literature, Proust was dramatically influenced by his mother, Jeanne Weil, and this intimate portrait of her life and times reveals precisely how, limning their unusually close bonds and the fin de siècle French milieu in which they lived. Read the press release. Read a chapter from the book, “The Goodnight Kiss.” . . . The Boston Globe‘s Christopher Shea wrote an interesting piece for last Sunday’s paper on America’s growing prison system and its formative impact on American society. 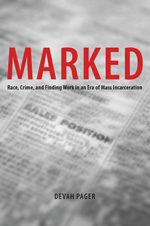 In his article, Shea details the revealing social experiment in Devah Pager’s new book, Marked: Race, Crime, and Finding Work in an Era of Mass Incarceration, to show how the American penal system has become an “engine of inequality … actively the gap between the poor—especially poor black men—and everyone else.” Shea continues: In an ideal penal system, prisoners might exit the system having paid their debt to society and be more or less restored to their previous status as free men and women. But Pager’s book demonstrates just how detached from reality that view is. She had four college students, two black and two white, pose as applicants for low-level jobs in Milwaukee.… They used résumés that were nearly identical—high school degrees, steady progress from entry-level work to a supervisory position—except that in some cases the applicant had a drug conviction in his past… for which he served an 18-month sentence and then behaved perfectly on parole.… In her field study, Pager found that her black applicants with criminal records got called for . . .
Our books are not often reviewed in Jordanian newspapers. In fact, we can’t remember the last time. So it was a treat to see Joseph A. Massad’s new book Desiring Arabs receiving some positive press in Monday’s Jordan Times. Writer Sally Bland praises Massad’s book for its detailed analysis of the influence of Western culture on Middle Eastern sexual mores through a comprehensive survey of Arabic writing from the nineteenth century to the present. Bland writes: The material reviewed by Massad is amazingly comprehensive, covering a time span of over a century and all major schools of thought from Arab nationalist to Marxist to Islamic. 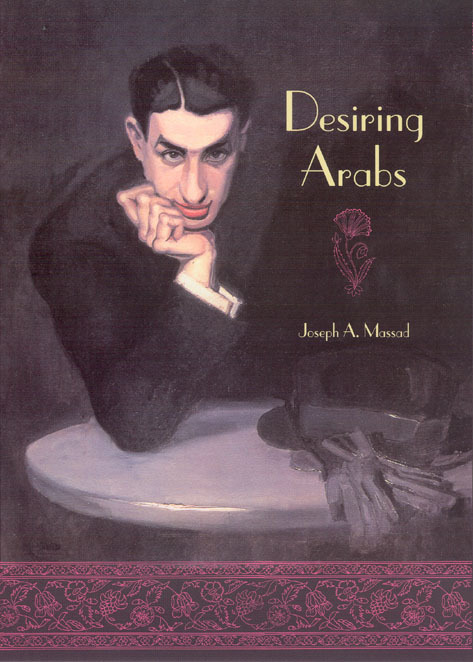 Their writings come in many forms and genres—academic, literary, journalistic and theological—and touch on many subjects related to sexuality, such as heritage, women’s status, health issues and how state policy has dealt with “deviance.” Like Massad’s two previous books, Desiring Arabs is meticulously researched and documented, using a broad spectrum of Arabic, English and French sources. Touching on so many disciplines as it does, the book inspires—or provokes—a radically new way of looking at human identity, culture and social behaviour, in part based on a more objective assessment of the past. . . .
Stuart Dybek, currently a Distinguished Writer in Residence at Northwestern University is one of twenty four academics to be awarded a 2007 MacArthur Fellowship. Dybek, born and raised in the Little Village and Pilsen neighborhoods, is the author of several books of poetry and three short story collections. We re-printed his first collection of stories, Childhood and Other Neighborhoods. The Chicago Sun-Times ran a short piece this morning giving more details about the award: MacArthur fellows were called out of the blue and told they each will receive a $500,000 no-strings-attached grant over five years. Dybek, 65, said the grant “couldn’t have come at a better time.” By freeing him from having to take side jobs, the money will give Dybek time to finish three books.… A book of poems set in the Caribbean, a collection of short stories set in Chicago and other places, and a memoir. We can’t wait to see more work from one of Chicago’s best homegrown authors! Find out more about Dybek’s Childhood and Other Neighborhoods on the press website. . . . 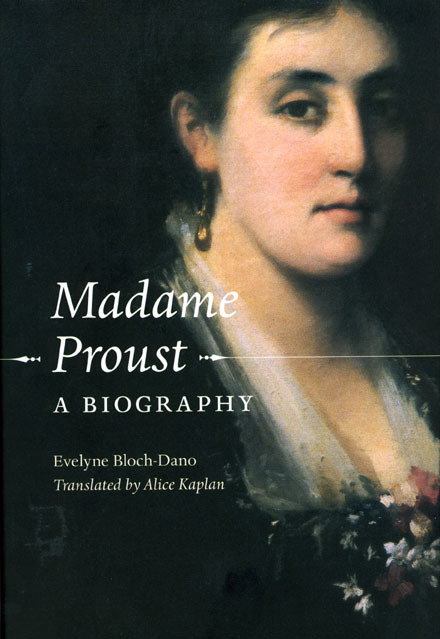 The online literary magazine Bookslut is running a nice review of Evelyn Bloch-Dano’s forthcoming book, Madame Proust: A Biography. The mother of one of the nineteenth century’s most important novelists, Jeanne Weil Proust was a profound influence on her son’s life and writing. But as Bookslut reviewer Aysha Somasundaram notes, Bloch-Dano’s new book goes beyond the typical focus of most biographies to deliver a thorough account of the social and cultural milieu in which Proust’s masterpiece, In Search of Lost Time, was written. Somasundaram writes: Meticulously researched, Madame Proust offers a socio-cultural portrait of French and Jewish culture and how each intersected in Proust’s lifetime. It not only explores Anti-Semitism, assimilation and naturalization of Jewish French Nationals and the Dreyfus affair but also ably recreates the bourgeois milieu, familial and cultural context and the physical lay-out of the Paris in which Marcel Proust lived. Marcel Proust was the product of an arranged marriage between an affluent Jewish mother and upwardly mobile Catholic father.… Bloch-Dano’s biography offers a sensitive, delicate evocation of the relationship Proust would describe as his life’s “only purpose, its only sweetness, its only love, its only consolation.” Madame Proust is a well-conceived and insightful tribute to a . . .
Philip Gossett, author of Divas and Scholars: Performing Italian Opera, wrote an article titled “What Pavarotti’s Eulogists Wouldn’t Say” this week in the New Republic discussing the myth and reality of the late operatic superstar. On his blog, the Page 99 Test, Marshal Zeringue asks authors to flip to page 99 of their books and briefly summarize the contents. Zeringue recently asked Michael Elliott, author of Custerology: The Enduring Legacy of the Indian Wars and George Armstrong Custer to take the test. Check out Zeringue’s blog to read Elliott’s response. Bernard Harcourt, author of Language of the Gun: Youth, Crime, and Public Policy was featured on . . . 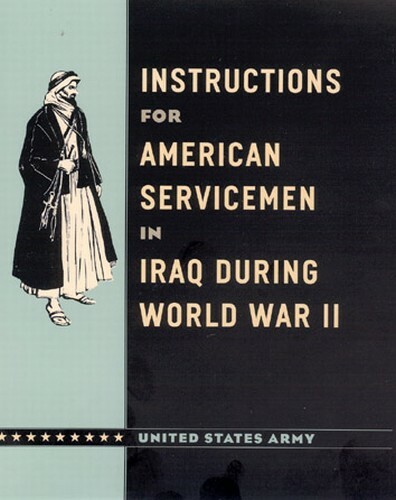 The Army Times recently reviewed two of the press’s most talked about books on the war in Iraq—Instructions for American Servicemen in Iraq during World War II and The U.S. Army/Marine Corps Counterinsurgency Field Manual. While the Counterinsurgency Field Manual was given its own special treatment in a review by Rob Colenso Jr., in the LifeLines section of the September 10 edition of the Army Times, reviewer William H. McMichael touches on the confluence of both books. Acknowledging the Countinsurgency Field Manual‘s new and unconventional approach to counterinsurgency, McMichael points out its emphasis on “gaining the trust of the general populace so insurgents can be rooted out and eliminated.” But, McMichael notes, these kind of tactics might not be so new or unconventional after all: Well before the 2003 invasion—64 years ago, to be precise—a simple booklet written for soldiers spelled out how to survive military service in Iraq and, most pertinent to the current war, how to win friends and influence people.… The Army published Instructions for American Servicemen in Iraq During World War II in 1943 as a handy, easy-to-read guide for U. S. troops assigned to bolster the British occupation in Iraq and help keep . . . The Chicago Tribune is running an article today about the forthcoming Festival of Maps—a three month display of “rare and important” maps from around the world to be held at more than twenty participating venues throughout Chicagoland beginning later this fall. In conjunction with the exhibition the Press is set to release a companion volume in early November, Maps: Finding Our Place in the World edited by James R. Akerman and Robert W. Karrow, Jr. Delivering a comprehensive account of the diverse ways maps have been used throughout the ages and across cultures, Maps covers much of the material featured in the exhibition, from maps “tracing the rise of the American West” to those used to track and predict the weather. 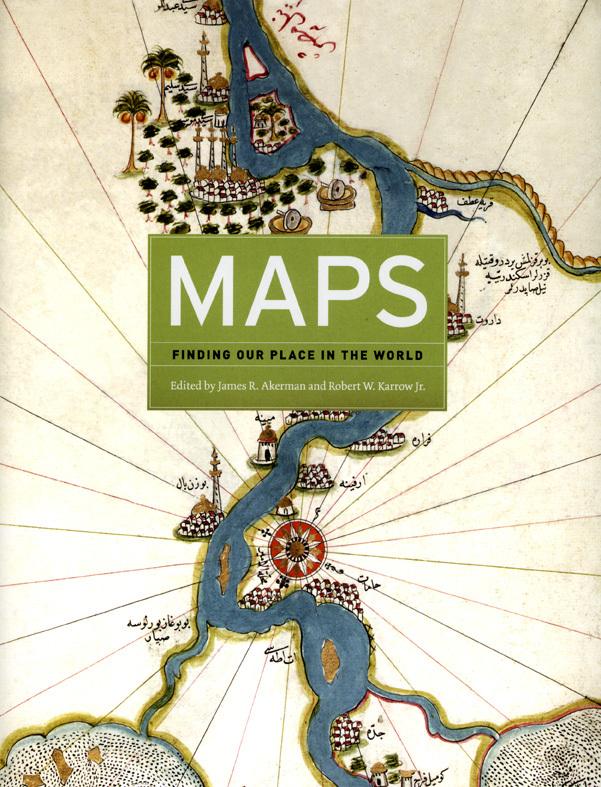 Read today’s article in the Tribune or check out the exhibition’s official website at www.festivalofmaps.com to find out more about the Festival, or learn more about the companion volume, Maps, on our website. . . .